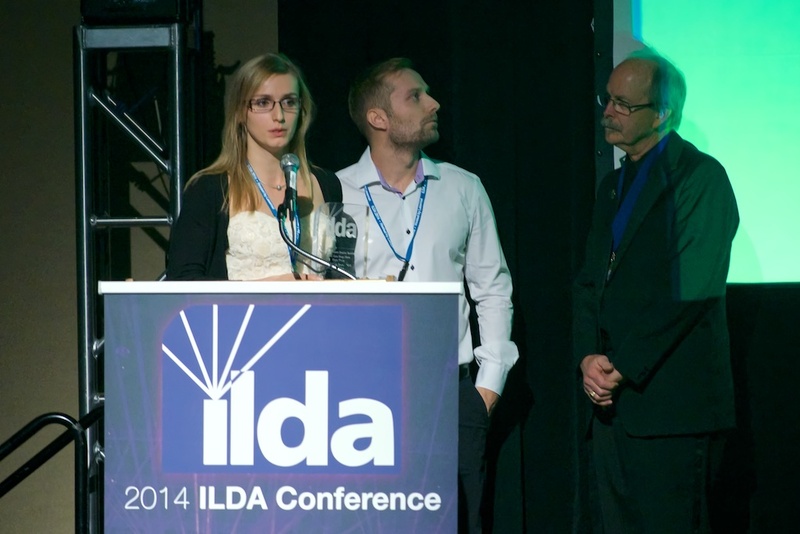 One of ILDA's most important programs and Member benefits is the annual ILDA Awards. This gives Members the opportunity to gain recognition for their hard work and high-quality shows. The Awards can be described in ads and other marketing materials. ILDA Awards help prove a company's ability to do world-class laser shows. The Artistic Awards cover virtually all aspects of modern laser displays, from the creation of individual laser graphics to the production of huge outdoor shows. The Technical Awards, named for pioneering laserist Fred Fenning, honor technological achievement that advances the industry. The Career Achievement Award is ILDA's highest honor, given for work spanning many years in the area of show quality, innovation, and industry service. The Awards process begins, usually in the spring of each year, with members submitting entries. For Artistic awards, entry documentation is in the form of a video of the show. The Artistic awards are cataloged and prepared for the three-judge Artistic award panel. Historically, judges have been selected both from outside the laser industry (giving an outsider, audience opinion) and from inside (giving a knowledgeable insider's perspective). It takes two days for judges to watch the shows in each category. The discussion is often lively. Judges award 1st, 2nd, and 3rd place, plus sometimes (in the past) Honorable Mention. However, prior to 2014, judges did not need to give a placement if they felt no entries are deserving. As of 2015, judges are asked to give a 1st, 2nd and 3rd place, with no additional places such as Honorable Mention. The current judging criteria are here. The Fenning Award for Technical Achievement goes through a similar process of entering. For Technical entries, written documentation is crucial, along with an optional video showing how the product works. A different three-judge panel — not the same as the Artistic judges — picks the Fenning Award winner. The Career Achievement Award has a different entry and judging process. The process has changed over the years. In some years, the Awards Committee and Board of Directors came up with CAA nominees. 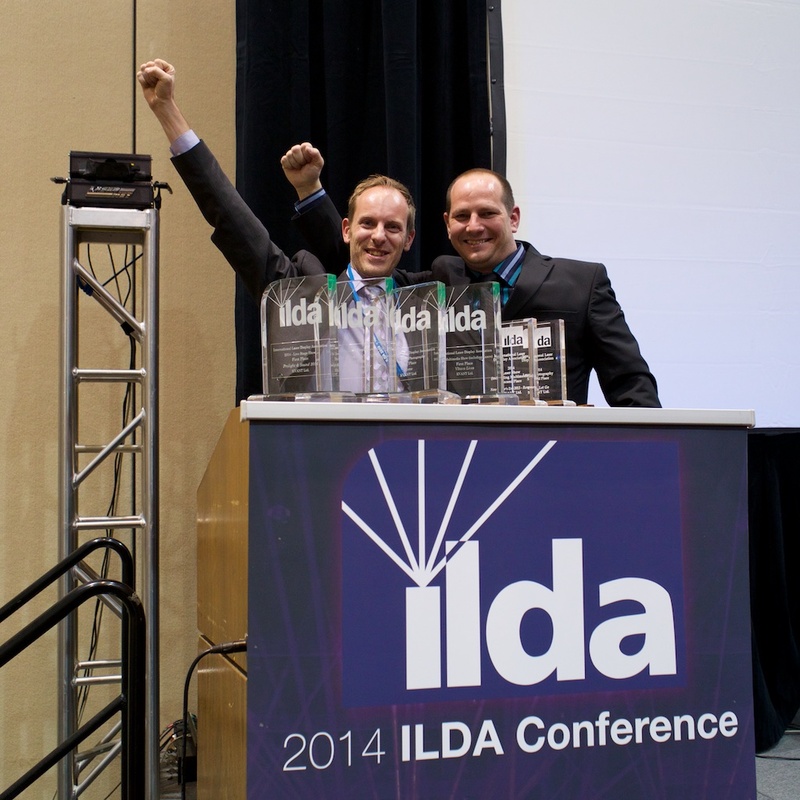 In recent years, nominees come from ILDA Members. Once nominated, the nominees or their sponsors provide a biography. In the past, a three-judge panel reviewed the nominees and chose a winner. Beginning around 2012, ILDA Members themselves voted for CAA nominees in order to choose a winner. For various reasons, the CAA was not given between the years 1994 and 2003. A list of past Career Achievement Award winners is here. ILDA Awards are presented each year at the Awards Banquet, held during the annual ILDA Conference. Selected winners are shown -- usually the first place entries, and laser entries. All winners come up to receive their awards and briefly speak. First place winners receive a trophy in the shape of the ILDA logo. Winners of lower places receive smaller trophies or plaques. Prior to 2013, a videotape or DVD was usually prepared of the winning entries. Since 2013, Awards Banquet attendees receive a USB drive with all winning videos. We also publish online a page listing all winners, such as this one from 2015. It includes links to the booklet handed out at the Awards Banquet, which has additional details about the credits and descriptions of the winners. We usually upload 1st place winners to ILDA's YouTube channel. The Awards began in 1988. The most recent Awards year as of this writing is 2015. This reflects 27 years the Awards have been given (there are no 2008 Awards for reasons listed here). Over these 27 Awards years, there have been a total of 1066 Artistic and Technical award winners. This is an average of just under 40 winners each year. You can download an Excel spreadsheet with a full listing of all ILDA Award winners. You can also get a detailed list of winners for each year. Use the menus under “Awards” to look for specific years. Frederick Fenning worked at Laser Displays Inc. and Image Engineering, two early pioneers of laser graphics. He developed a system called Digital Video with a codec for recording complex laser drawings and logos. He was also “one of the first people in the world to build … network-addressable appliances”; source here. In early 1998, the ILDA Technical awards were renamed the Fenning Awards for Technology Achievement, to honor Fred. “We begin this month by relating news of the death of Frederick Fenning. Fred’s plane crashed over a lake in Idaho as he was piloting his plane across country to visit family in August 1997. Fred was a hardware electrical engineering consultant, whose work involved assembly guidance systems, lasers for manufacturing, and laser graphics for the entertainment industry. Fred also worked with Grumman Aircraft, and regularly participated in ‘fly-ins.’ Fred lived in Medford, Massachusetts, and remained active with his fraternity, Tau Epsilon Phi, visiting often on Sunday mornings, and flying pledges to Cape Cod during Rush Week. Fred had also participated in Dramashop, Musical Theater Guild, and academic committees as a student. Includes two photos and a link to an elegaic poem composed by Sandra Steingraber. And before my faint memories of my knowing Fred go away, I will chat for just a moment about what I do remember from my days with Fred Fenning while we worked for Bart Johnson and Laser Displays. I don't know any other electrical engineering graduates from MIT, but I doubt too many were so loose and open while explaining complex issues with such knowledge and ease to dummies like me. His patience was so laid back, and his confidence in solving a technical issue put those of us in the show mode at ease. Just because Fred was there. He loved his fraternity, lived at the frat house while in school, and maybe even after graduation, for sure he was there about every week even after he graduated, as I recall. Fred admitted that graduating with the EE degree from MIT for him was difficult. Fred did like to party with his fraternity, and I know that helped take a little longer! First time I was around Fred, he was building his own design of a Spectra-Physics 270 power supply along with the laser head. Really, all Fred was buying from Spectra-Physics was the gas laser tubes. When I left Boston for good in the winter in a snowstorm, I had a Toyota that flamed out on the Mass. Turnpike. Fred came and got me and loaned me his van to take my stuff back to the Midwest. A couple of years later, with Fred then at Image Engineering, Fred built me an image rotator, and gave it the serial number "Walt's Rotator". That was of course, back in the wire wrap days. I am sure there are those that remember Fred better than I do, but I feel very fortunate to be one of the guys that got to work with Fred Fenning. Additional information from L. Michael Roberts here and here.